Seo chugat Scéalta le hinisnt don ghealach. 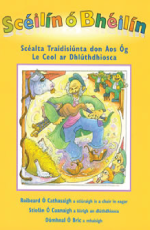 Athinsintí bríomhara atá sa leabhar seo ar scéalta traidisiúnta ón bhéaloideas, agus iad curtha in oiriúint do pháistí na linne seo ag Caoimhe Nic Lochlainn. Tá meascán ann de scéalta gaiscíochta, scéalta tóraíochta agus scéalta grinn, roinnt acu bunaithe ar insintí i mBailiúchán na Scol, scéalta a bhreac páistí san fhichiú haois. Dhá scéal déag atá sa leabhar ar an iomlán agus iad oiriúnach don tseomra ranga agus don léitheoireacht aonair araon. Tá na carachtair lán le fuinneamh, rud a bhíonn ní ba shoiléire fós nuair a léitear na scéalta os ard! Tá léaráidí lándaite curtha ar fáil ag an mhaisitheoir Olivia Golden do na scéalta ar fad. Tá eolas breise faoi Bhailiúchán na Scol ar fáil ar www.duchas.ie. 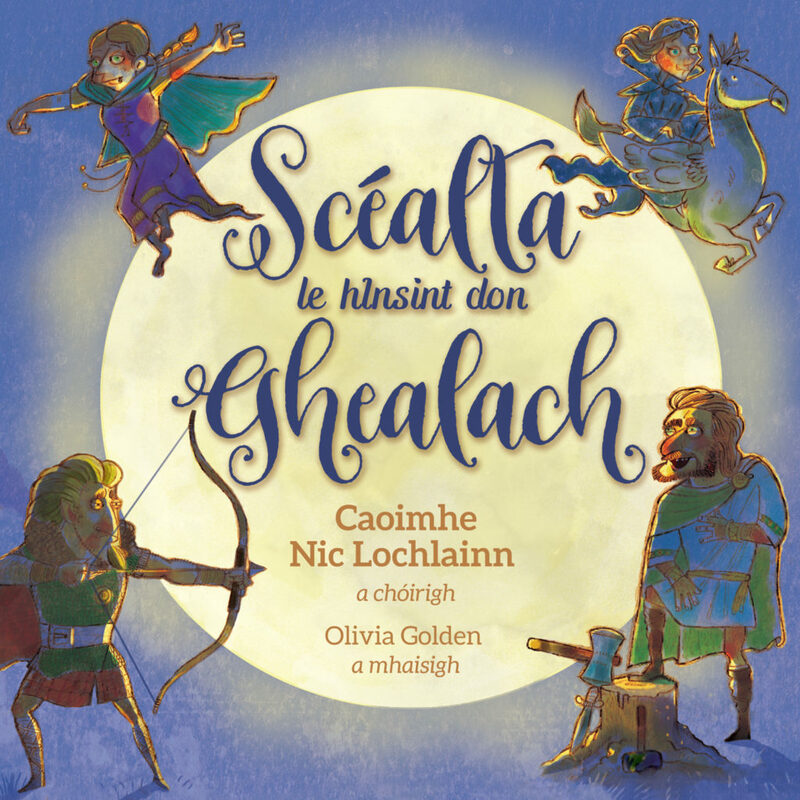 Scéalta le hinsint don ghealach is full of exciting retellings of traditional Irish folk stories, made suitable for today’s young readers by Caoimhe Nic Lochlainn. Suitable for readers from eight years of age and onwards, this book is an ideal choice for leisure reading or for use with a full school group. 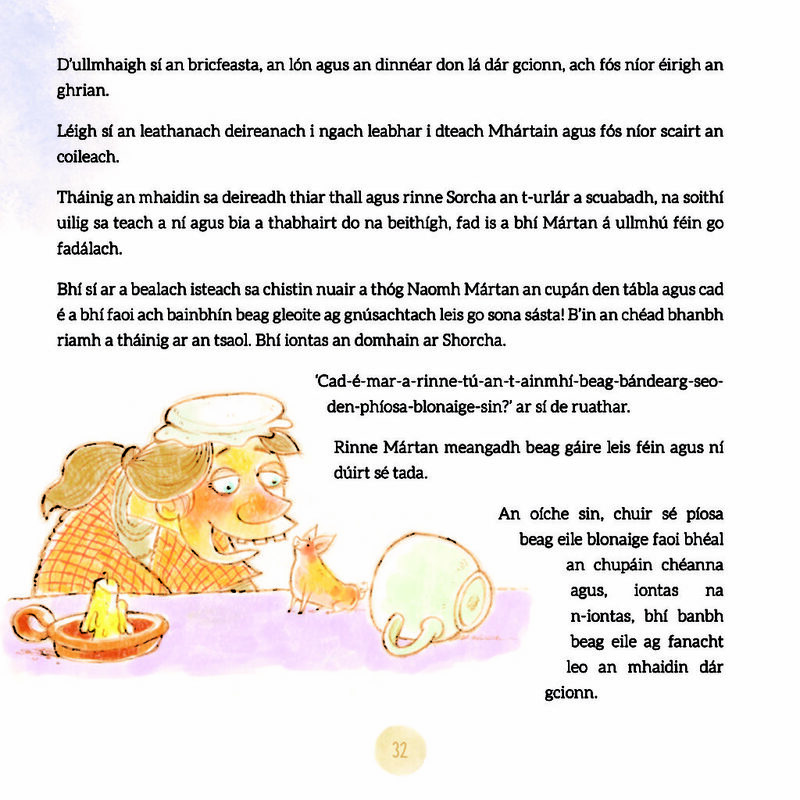 Humor and whimsy fill the pages, and many of the stories are based on old tales collected by schoolchildren in the 1930s as part of The Schools’ Collection (Bailiúchán na Scol). A total of twelve stories appear in this collection, each one accompanied by Olivia Golden’s colourful illustrations. The book will be launched at the St. Patrick’s College Campus of DCU, with details available in the coming weeks. For further information about The Schools’ Collection, visit www.duchas.ie.